Not only is the Vita very much alive and well, but it will grow into a very viable platform for the future. People need to give the console some time to get to started; it’s not even a year into its life cycle. The Vita is just now really getting off the ground. Other handheld console launches of the past prove that these things take time. The 3DS did not jump out of the gate with a thunderous launch either. The DS was always the more popular hand held last gen, there is no question about that. Though the PSP did not ever become as popular as DS, no one can honestly say it had a bad library of games under its belt, can they? Some these include Twitter, Youtube, a web browser, and even email. I know most of us only think of handhelds as gaming devices first and foremost, but it is nice to have the features available for when you want to check something out on web or send a tweet on the go if you are ever in the middle of gameplay. The fact you can take screen shots directly from your Vita by pressing the home and start button together is a really nice bonus as well. When you want to show your friends something you’re playing, you just press the buttons and bam, you have a fresh screen shot to share with everyone. One of the best things about this system, in my opinion, is the amazing screen. Everything on the screen looks crisp and clear, and it’s as bright as they come, which makes it easier on your eyes. I’ve heard a lot of talk about there not being any games on the Vita. And I’m here to tell everyone who thinks this…how wrong you are. Some bigger titles may have been console ports, but…I don’t think any handheld offered completely original games (read: games not inspired by or ported from consoles) like this starting off. And even if the Vita does have a bunch of ports, they are some of the best around. Take Mortal Kombat for example; it is a wonderful port. It looks great, has all the features of the console version, and even has some additional features thrown in for good measure! Another great console port is the Metal Gear Solid HD Collection. It looks and plays great on the Vita, for all your sneaking on the go. 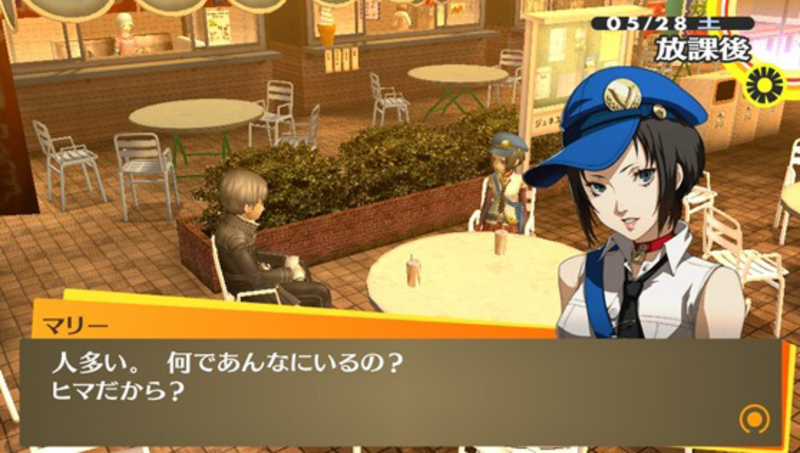 By far the best known console port is Persona 4 Golden, which has upgraded graphics and many added features over the original release of Persona 4 on the PS2. While I’m mentioning ports and content from the past: the ability to play almost all PSP software and PlayStation Classic this adds a vast number of titles to your potential Vita library as well. Even if you still have your PSP… playing PSOne Classics and your old PSP games on Vita’s new and improved screen is great! There are more than people think, and they’re all high-quality. 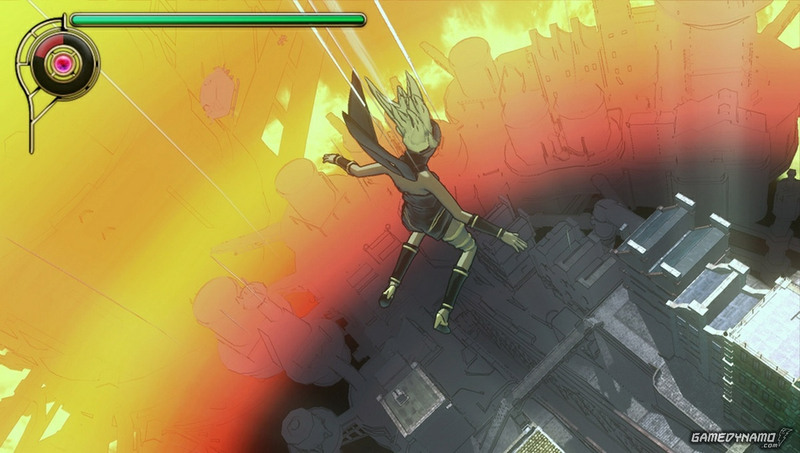 First off, let’s talk about Gravity Rush: This game got some points taken off for the story being lacking, and while that may be true, the game play is wonderful. It is by far some of the best use of the gyroscope in gaming so far. Next up we have Ragnarok Odyssey…I love this game. Some people will call it a Monster Hunter clone but those folks would be wrong. With fast paced combat and great online play this maybe similar to Monster Hunter but it is a far cry from the “same thing”. And besides, why would a game similar to Monster Hunter be a bad thing?! Orgarhythm is a musical strategy game that uses rhythm to fight off the forces of evil. This game looks very unique and interesting. At this time I have not had the pleasure of playing this one yet but I am very much look forward to it. There are some great titles on the horizon for the Vita as well. There’s Soul Sacrifice, an action RPG from one of the minds behind Mega Man, Ken Inafune. Also: Lets Fish! 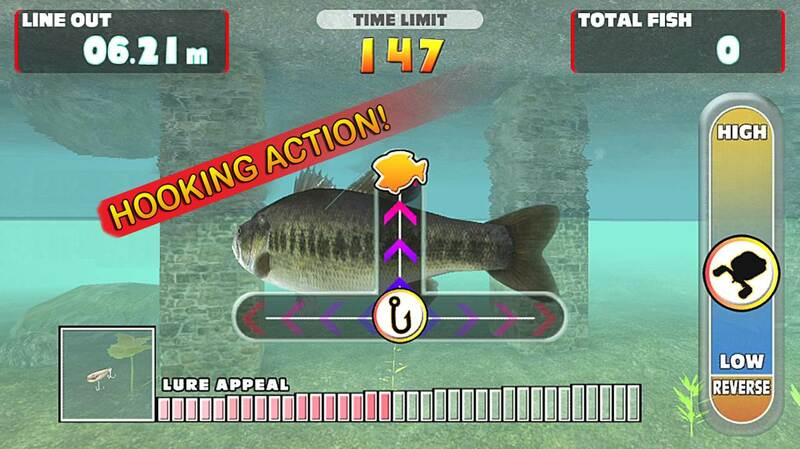 Hooked On, a moe fishing sim from the fine folks at Wired Productions. And last but not least, there’s Killzone: Mercenary. We have yet to see a solid shooter on the Vita and I think this could be the one the shooter fans have been waiting on. These are but a few of the upcoming titles coming to the system. Being a huge fan of JRPG and niche games in general I cannot help but see a bright future for the Vita. With things like the afore mentioned Persona 4 Golden and Soul Sacrifice the system shines with JRPG goodness. I can only hope the Namco will look into localizing Tales of Innocence R and Tales of Hearts R as well. It would be the first time they were released here in the states. I think Namco and Sony may be pleasantly surprised by what these games could do for the console’s sales. Let’s face it, a lot of Sony’s fans are huge JRPG fans as well. PS+ is one of the greatest deals in gaming, in my opinion. There are already 6 great titles in the instant library that you can download for free on the console, if you’ve become a member of PS+. 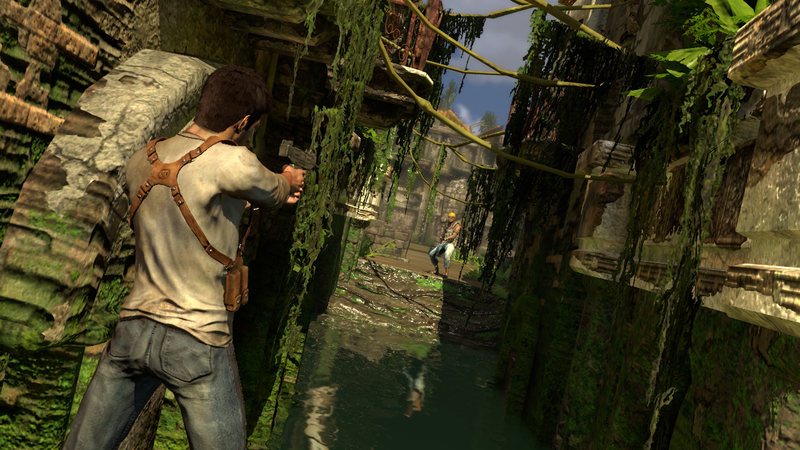 They include Uncharted : Golden Abyss, Gravity Rush, Jet Set Radio, and Final Fantasy Tactics. Sony says they will update this just like they do on the PS3 so there will be tons of free games available in the future as well. Another great offer Sony is doing is the cross-buy promotion this is where you buy certain PS3 games and you get the Vita version of that game for free. These Include PlayStation All-Stars and Sly Cooper Thieves in Time. This means you could be playing at home, save your game to cloud or copy your save to your Vita and take your game on the go with you anywhere. The system is also being used as a controller in certain 1st party titles showing you information and other features on the Vita’s touch screen. There are some solid titles available now, and there will more in the coming months. Do I think Sony could do a better job on promoting and making the console more attractive? Yes, I do. They definitely need to drop the price on the memory cards. And they should also include more than a 4gb card in any bundle since all you have to do is download Uncharted…and the card is full. It Seems crazy to give all those great deals on Plus with such small amounts of space on the bundled cards. They need to also ensure the third party software is up to par with what the system can do. And really, I can’t make any excuses for things like Black Ops: Declassified. This not only made the developer look bad, as this was their second attempt at Vita shooter that…didn’t work so well, but it made the console look bad as a result. That being said, I still feel my Vita was a more than a worthy purchase. I play it almost everyday and I enjoy all the great gaming and apps it has to offer. I just hope I have convinced some who were on the fence that the Vita is more capable than you think. Some of the staff at Oprainfall played a big part in helping this come together, so I want to thank them for their input. A lot of us big fans of the Vita. But…are you? Be sure to let us know in the comments below.